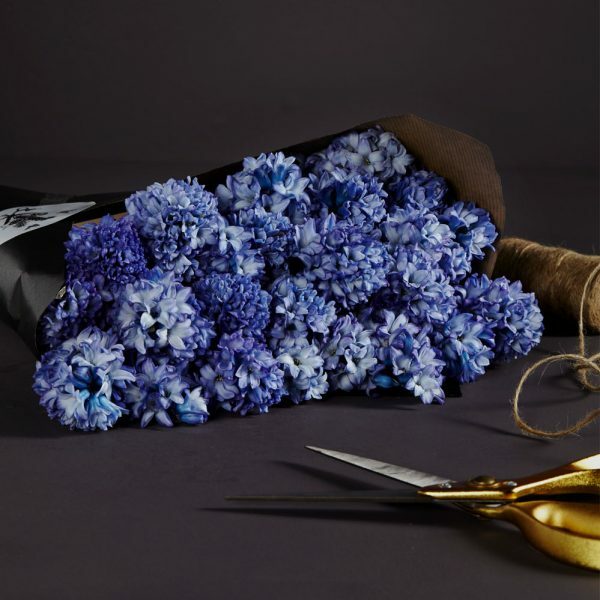 Celebrate spring with a glorious bunch of fragrant blue hyacinths, wrapped in our signature Kraft paper and ready for you to arrange at home. To display, simply pop your fresh flowers into a chic vase or ceramic pot for an instant design that will infuse a soft scent throughout your home. 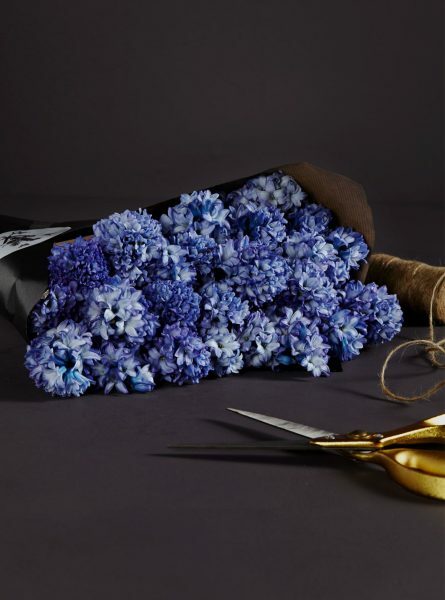 Approximately 12 flower stems in the medium & 25 flower stems in the large will feature in our bunches of blue hyacinths. Image shows large sized bunch. Each of our bunches are finished and carefully wrapped by our team of skilled florists with our black Kraft paper and presented in our elegant white signature box. Care instructions and a hand written notecard are included with every order and a personalised message can be added during the checkout process. All our flowers are sent in water gel to keep them perfectly hydrated.